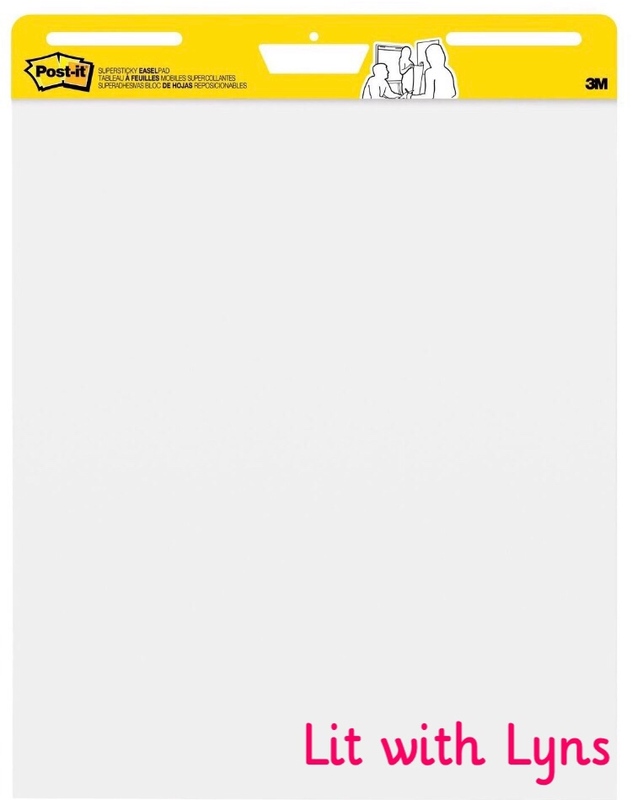 This post may contain affiliate marketing links. I may receive a small commission if you purchase through these links. You may read my full disclosure policy here. It's that time again.... back to school! If you're like me, you've already started; however, I know many don't go back until the end of August or beginning of September. Either way...it's coming! 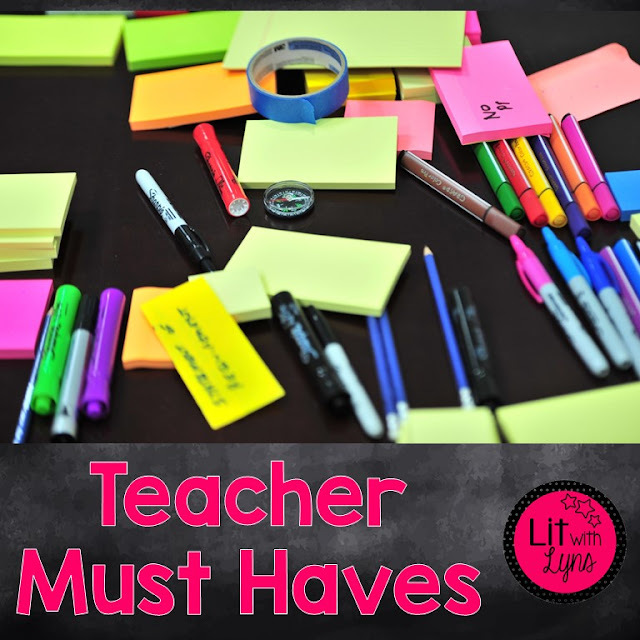 That being said, I thought I would share 10 of my absolute MUST HAVES for the classroom... I genuinely cannot begin my year without them! 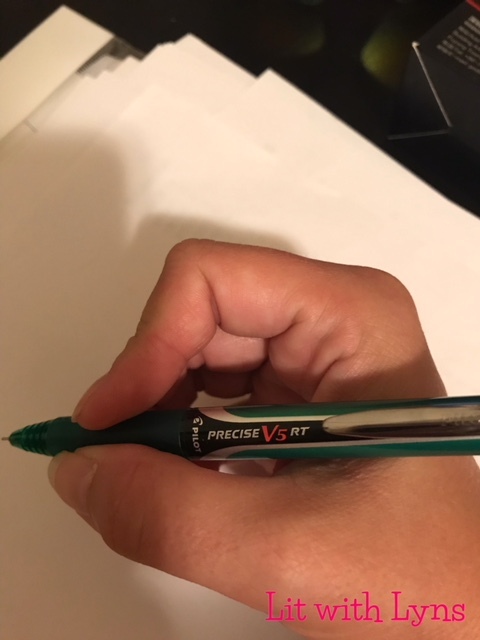 Since I've discovered these a few years ago, there has been no other pen that I can use to grade papers, fill out forms... even sign checks! I now buy them in bulk through Amazon, and they last forever! The ones I ordered at the beginning of last year are still working great! I typically buy the combo pack so that I can have a variety of colors. I continuously heard about teachers in all subject areas and grade levels using green screens in their classroom. I finally bit the bullet and purchased this one. 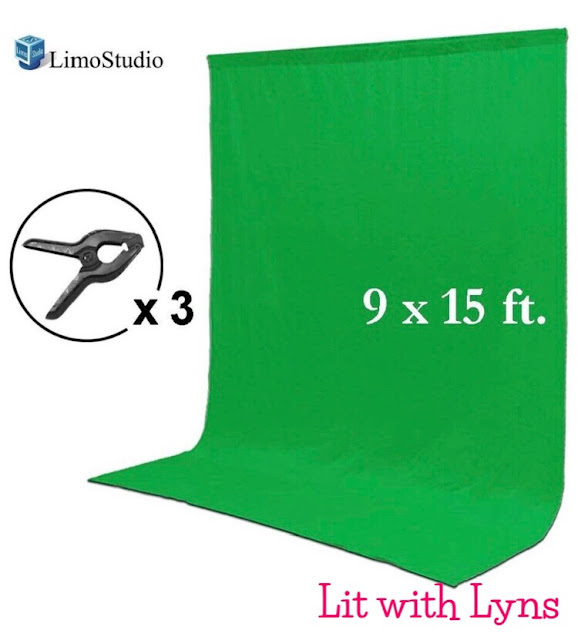 If you aren't familiar with green screens, they can be used to superimpose different backgrounds while using pictures and/or videos. My students will be using it to re-do story endings, complete verbal responses to Articles of the Week, film recreations of autobiographical texts, make comic strip pages.... you name it! The opportunities to incorporate technology using green screens are endless! You can hang the backdrop up, or you can purchase a stand to use. I've begun gradually moving towards more flexible seating in my classroom. 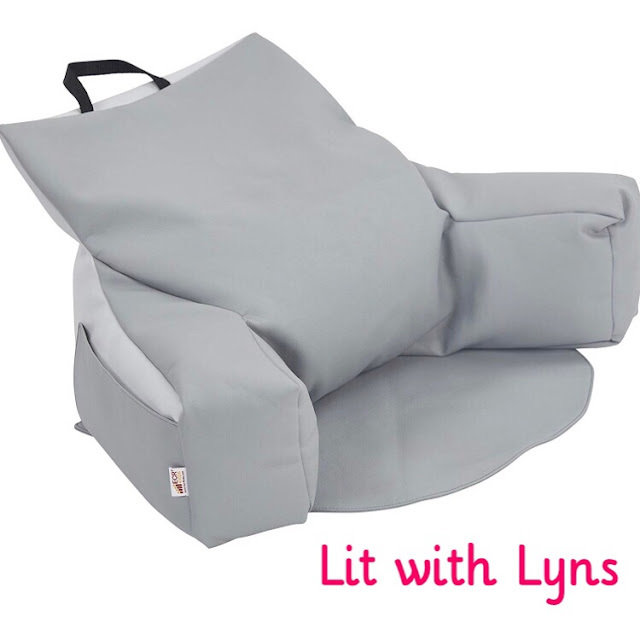 I started with 4-5 bean bags which students could sit on during reading time. Then I discovered that there was also an actual bean bag pillow chair with pockets on the side!!! 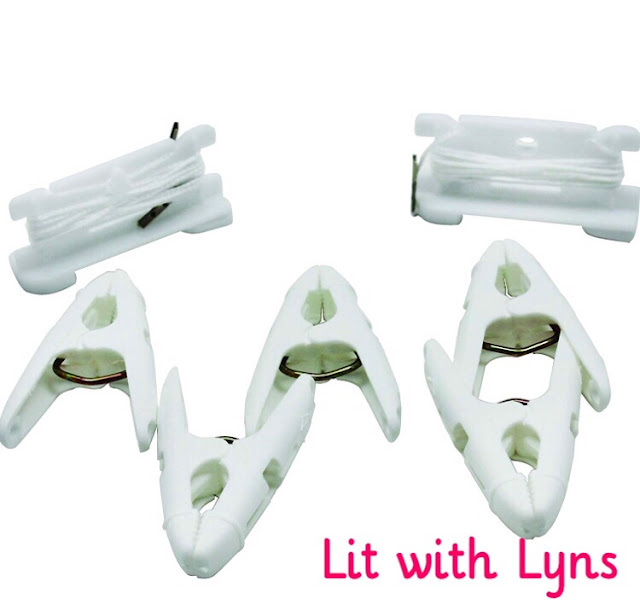 It also has a hook on the back that so that it can be hung up using a 3M hook when not being used. Students love it, and I LOVE using this as an incentive for good behavior, for the student that wins our weekly warm-up review game, etc. I don't know about everyone else's schools, but teachers at my school are required to hang certain posters, graphic organizers, etc. up on our walls. By the time I've posted all of the required "wallpaper," there isn't any room to put up my students' work or other items that I would like to display. That's where the ceiling hangers come in! Now I can easily hang my students' work, and I also hang a poster with numbers above each table. This makes life MUCH easier when I put students into groups. Now I can say, "Group 1 go to table 1, group 2-table 2," without kids repeatedly asking where I said for group 2 to go a hundred times. 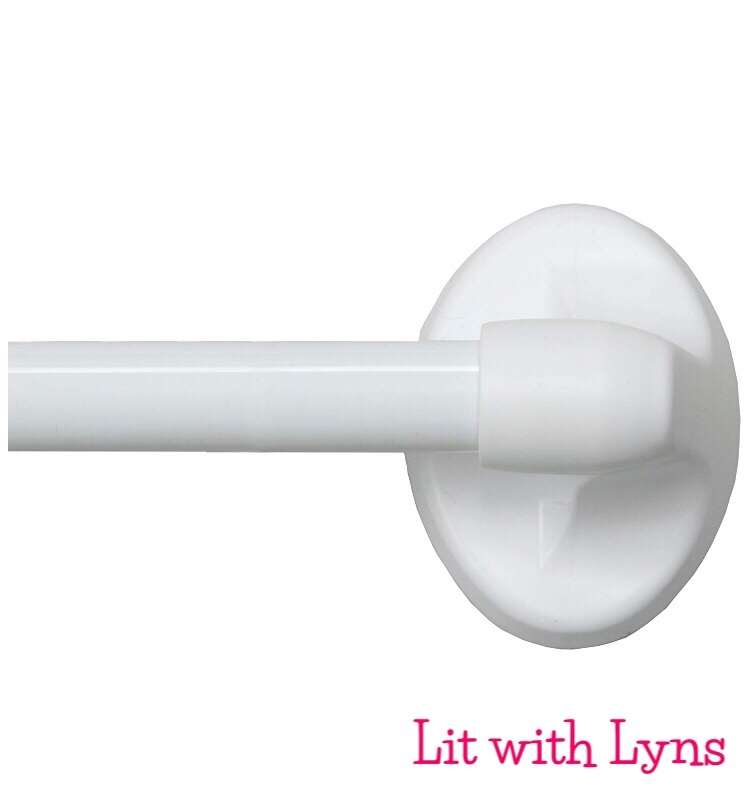 I can't tell you how many years I fought with velcro, command hooks, you name it just trying to keep kids from knocking my curtain that covers my classroom door down. Not to mention it's perfect for doors with windows, particularly when you're having a lockdown (hopefully just a drill). I found this one after looking through them to determine which had a high rating, as well as one that wasn't expensive. Every teacher has to have the poster-size sticky chart paper! I use this almost daily for anchor charts, to post classroom expectations, for word walls...so many opportunities for use. Most recently we used this when students were doing gallery walks to respond to various questions about the book we're currently reading. There are 2 brands of pencil sharpeners that have been my go-to for years. The electric sharpener that I can't do without is the X-ACTO. It quite possibly is close to 10 years old and is still going strong! It has clearly been more than durable and has a plastic bottom that suctions to the table. 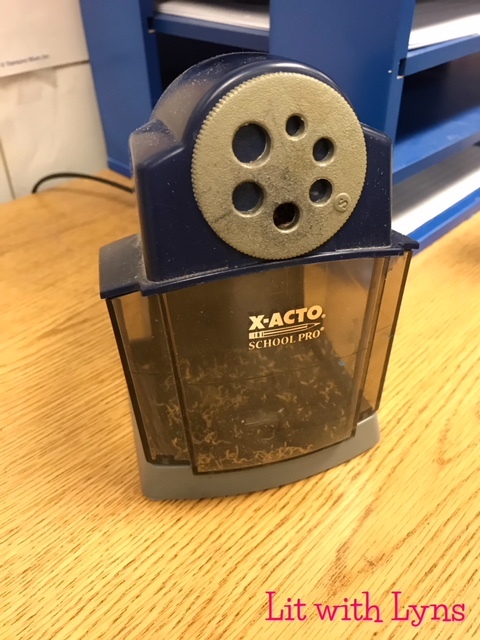 This keeps it from wobbling when kids are sharpening their pencils. What I like best is that it sharpens pencils in a matter of seconds and isn't loud like other electric sharpeners. Students can sharpen their pencils quickly with minimal disruption. 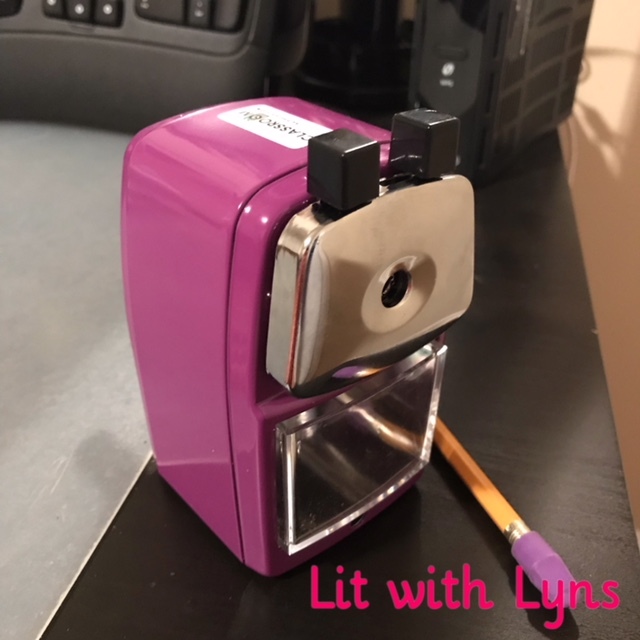 The non-electric sharpener that I now have in hot pink and purple (one I had to keep for home for my own kids to use) is the Classroom Friendly Pencil Sharpener. A few of my favorite things about it are: it's extremely quiet, has an auto-stop, AND it's portable! That means you can take it with you any time you're moved to another classroom or school, take it home over summer break, and students can even pass it around to those that need to use it!!! It does come with mounting hardware, but I prefer to be able to transfer it as needed. 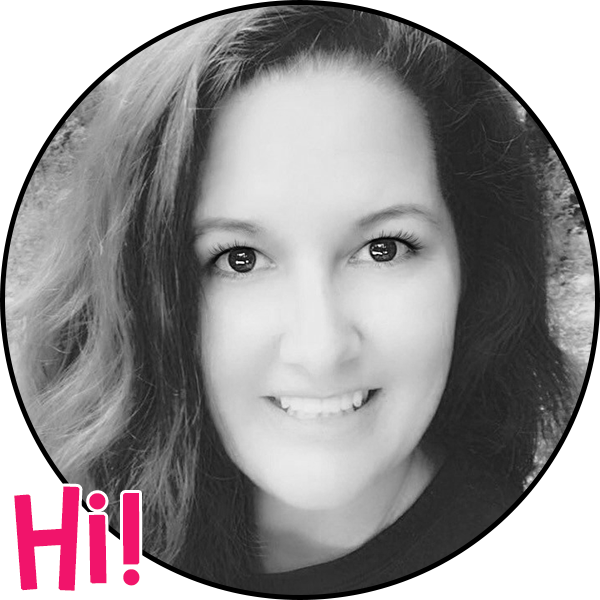 Even more exciting, you don't hear the annoying, stop you in the middle of teaching pencil sharpening that is bound to take place at the worst possible time... just when you get to the most important part of the lesson that everyone needs to hear! I loved it so much that I did a whole blog post on it here. 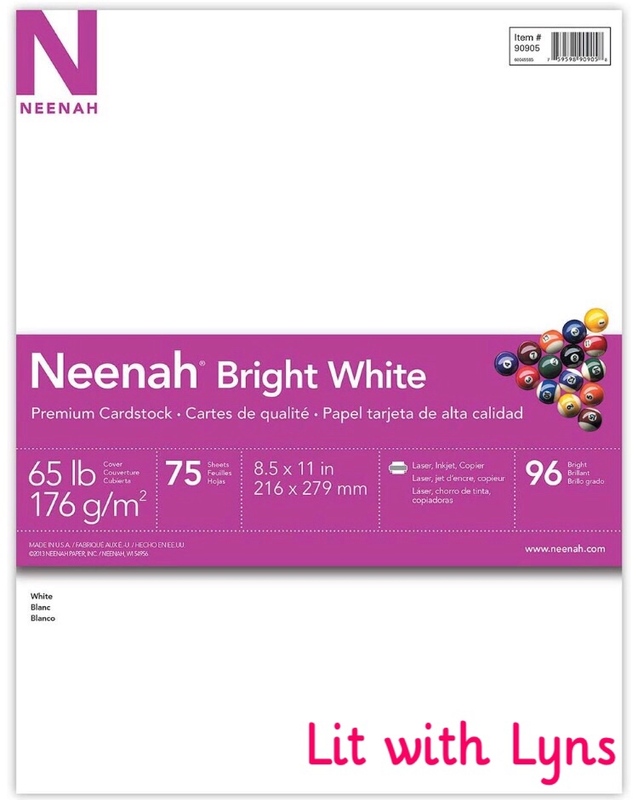 For years, I would always ask parents to send in multi-colored card stock paper. Then one day it hit me... every time I use the colored printer to print posters to put on the wall with anything other than white, it doesn't look good. With white, all the words and images that are usually in various colors are crisper and easier to read. I was a little late to the party of discovering Clarks' Brand Shoes, but once I did, that's the only shoes I wear to school! They are the most comfortable, and for someone who can't walk in heels, I'm even able to wear them with Clarks. I have the pair below in black and brown! 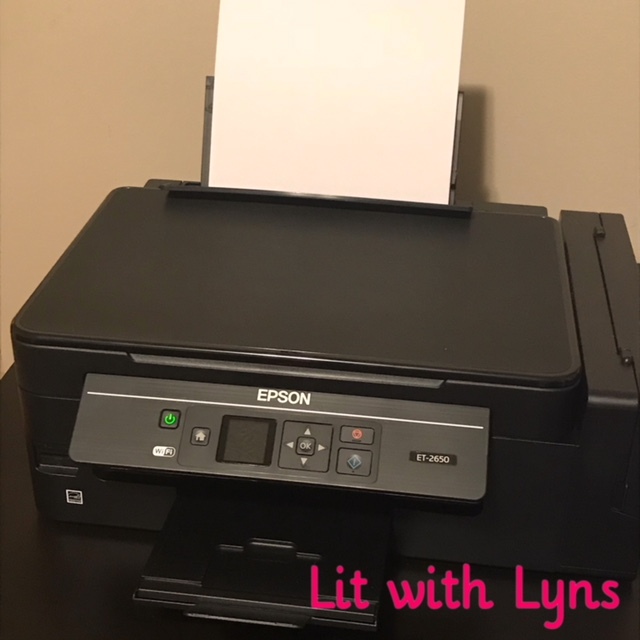 Last, but definitely NOT least, the best printer we've ever owned!! This printer is fast and prints the clearest pictures EVER! It also comes with 2 years of ink!!! Since our printers at school only print in black and white, I've gotten into the (bad) habit of doing a lot of my printing at home because I love how great it looks. What is your back to school must haves? Tell me all about it in the comments below! Currently, RO filtration technology is widely applied in many industries and especially in the type of water purifier. Water filters usually use RO membranes to clean water, remove bacteria. What is RO water purifier and how does the principle work.